Thanks to you, we're the top again! For the sixth year in a row, Broadway.com is the number one source for theater fans to find out information about the Great White Way, according to an independent report by The Broadway League that analyzes the habits of theatergoers. 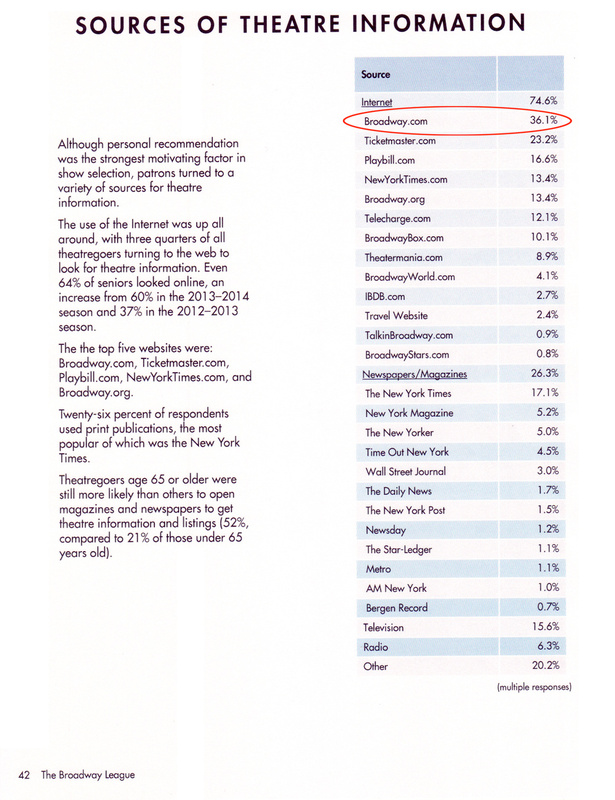 Broadway.com outranks other sources such as television, The New York Times.com, Facebook, Twitter and all the other theater-related websites out there. Every year, the League surveys theatergoers to create an extensive report titled The Demographics of the Broadway Audience. In the just-released 2014-15 report, which was based on the completed questionnaires of 9,732 responders, when asked the question “Where do you look for theater information?” 36.1% (up 3% from last year!) 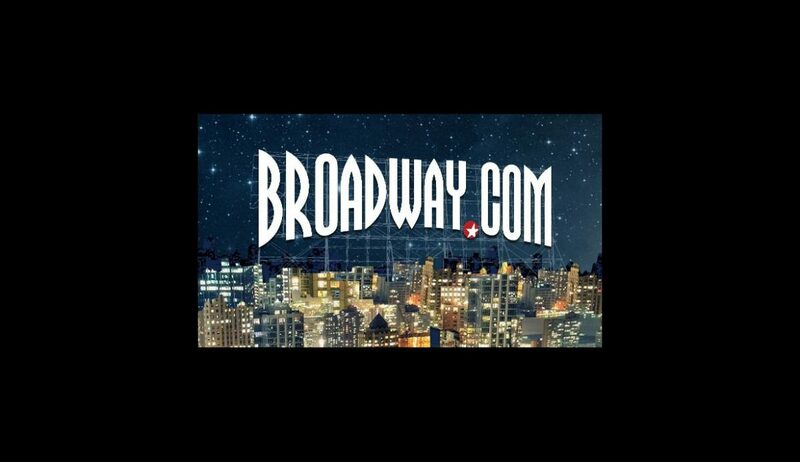 chose Broadway.com. The closest behind us came in at 23.2%—check out below for the complete list. 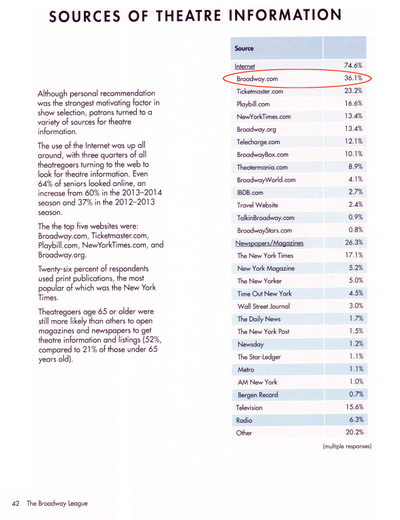 Broadway.com was the clear frontrunner of online resources, receiving at least double the responses of any other website. In other interesting stats, the use of the Internet was up all around, with 74.6% of all theatergoers turning to the web to look for theater information (up from 70%). 64% of seniors looked online, an increase from 60% in the 2013-14 season and 37% in the 2012-13 season. So click here, and we'll see you at the theater!